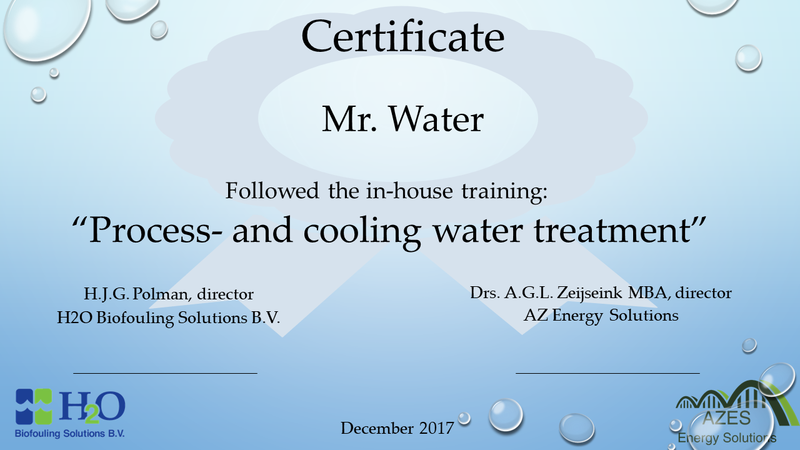 H2O provides together with its partner AZES Energy Solutions, trainings programs on topics related to cooling-water and process water to give operators and managers the opportunity to learn more about cooling and process water treatment. The training is provided by skilled instructors with 40 years of operational experience in using the technology in applications ranging from commissioning to operational support/advice on all 5 continents. The program consists of several modules, each covering a specific topic. A course day will consist of different modules that are selected based on local requirements. This training is based on our in-depth understanding of all related processes in industrial applications in combination with practical operational field experience as stipulated in local and EU guidelines or in (for example) VGB guidelines. Through case studies it is demonstrated what may be the impact of inefficient treatment of your industrial water streams which would result in very costly effects. The available knowledge is transferred through PowerPoint aided training course, with as much as possible interaction/dialogue between participants and instructors. be alert to early-warning signals of deviations from optimal water quality and/or developing biofouling or corrosion problems. Contact us for a detailed training program.